Please comment with any remaining questions; thanks! This entry was posted in Uncategorized on February 3, 2013 by luke iseman. Out of the gate, you have control of 2 AC outlets that’ll handle ~10 amps each. With expansion, you can add *many* more. Without much complication, you can scale to at least another 10 outlets! Sorry I have more questions. Where do I get the growerbot sketch from? I watched the programming video and I’m pretty sure you just said you already had it loaded. It seems my chip is either damaged or not programmed, I have a chip I can swap into it and program if I get the sketch, wihle I wait I will burn a bootloader onto this chip using my FTDI friend. It’s going to be super slow…. once those three are added to the library folder of the Arduino IDE the gbot1219.ino compiled and uploaded nicely. Thanks Kevyn; I should have noted the needed libraries myself. Let me know if you’d like a spare LCD and I’ll get you one at my expense. I’ve have used a standard arduino power adapter to test growerbot and I think I’ve damaged something. It is my fault because I did not realized that power adapter shipped with growerbot has different polarity output. However I’ve replaced 7805 voltage regulator on growerbot because I thought it has been overheated. Do you think that I’ve damaged also arduino chip ? Led does not turn on when I power the growerbot and I’m not able to read expected voltage from growerbot pins. I’ve tested 5V-GND output and I’m reading only 1.5 volts, I expect to read 5volts. Please give me some hints to understand if my growerbot board is not broken. I have the exact same symptoms here bob. If love to know if you work it out. I might have a little time today to play with it. Turning potentiometer i can see only a row of black squares. I’ve connected a common LCD 16×2 1602 HD44780 and it worked fine. Now I can read messages from growerbot on lcd. Unfortunately I found that humidity/temp sensor shows only zero values. I’ve found already 2 components broken lcd and DHT22 and I’m quite disappointed. I have to make a larger hole to mount HD44780 lcd and de-solder sensor to test another one, that is quite annoying. Growerbot is reading humidity and temperature now. I would like to understand why adafruit library did not work. Thanks for your work on this; sounds like you’ve got everything working now? The 99.90% humidity reading is surprising. Will you try the sensor at a different angle and let me know if this still happens? My guess is that you’re getting condensation inside of the sensor itself. Let me know any replacement parts either of you would like and I’ll get them in the mail this week at my expense. I’ve tried it inside as well as outside in the garden worth the same result. Not sore why it’s reading high. I’ll try Bob’s library next week when I get back home. The screen and its breakout board should get me all sorted, thanks Luke. I’m struggling with the LCD. 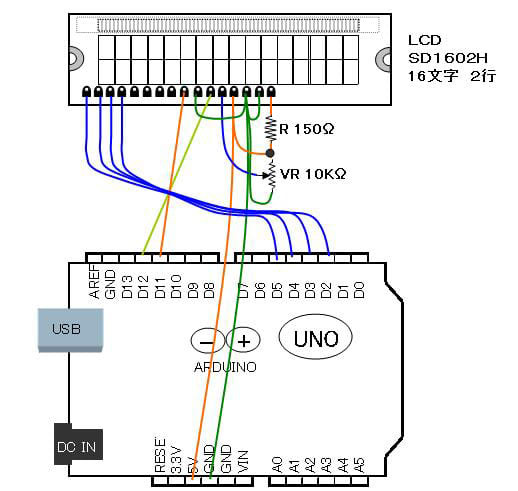 Luke, can you tell me what the lcd mount’s 8 pins map to so I can debug with a normal arduino? I’ve been trying to trace things with a multimeter but I’m not sure. Also, can you confirm that the image Bob posted is the right schematic for the Lumex LCD? (it was at: http://blogimg.goo.ne.jp/user_image/67/89/2abe97ee7aae31c4b2e13fa2416781b3.jpg) It doesn’t seem quite right to me. Sorry to hear you’re having trouble. Pin 1 is the farthest to the left if you are looking at the side of the LCD breakout such that the silkscreen is readable. Here’s the exact lumex LCD I used: http://www.digikey.com/product-detail/en/LCM-S01602DTR%2FM/67-1781-ND/469805 . And the datasheet: http://www.lumex.com/specs/LCM-S01602DTR%20M.pdf . Let me know how testing goes. I’ve had a couple of the LCDs break in-transit; if this happened, I’ll get you a new one ASAP. I’m sure that my lumex lcd is not working. I can see only a row of black squares that means that it cannot be initialized. In the arduino sketch I’ve added a delay of 2 sec before calling lcd.init but it does not work. I’ve tried another lcd 1602a and it works, this lcd needs backlight to be fully readable and back light pins are not available on lcd breakout. Could send me a new lcd ? Thank you very much! I’ve received replacement lcd yesterday but I’ve not tested yet. I’ll keep you informed. Allen, I soldered a female header to my (replacement) backpack board. As you can see in the photo I found the pinouts on my LCD did not match the standard HD44780 type LCD (Pins 15 and 16 are placed before pin 1) so I offset the pins and now it works. Before I was getting errors like Bob is describing, black bars and glyphs. Note the pin nearest to the Trim pot on the backpack goes to the pin nearest to the SD Card socket. I’ve already soldered a female header on lcd backpack. definitely offet pins did the job ! I’ve got a new lcd from Luke and it works ! 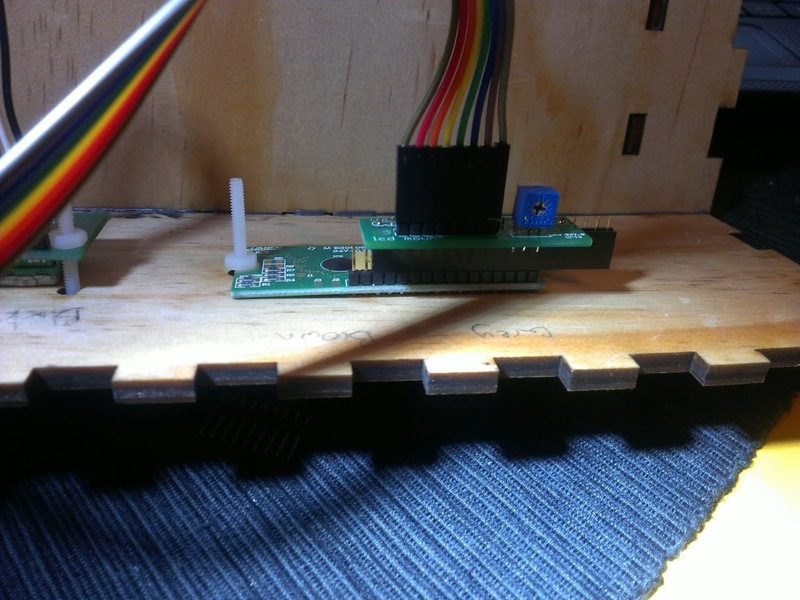 Datasheet says that pin 15 and 16 are disconnected so it needs to have them not connected to lcd breakout. Would you ship outside the US? Looking forward receiving my first growerbot kit to Lithuania (EU). Please let me know the costs, I can provide a dhl import code for your convenience. I’m happy to ship to EU at cost. Easiest is if you place your order and then I’ll invoice you for the difference. The audio on your video is reprehensible. I really like what you are doing but your media abilities are unacceptable. I am assembling a growebot for my sons teacher and ham having trouble with the LCD much like those described above. Could you please send me a replacement to try. I am also confused and concerned about the comments describing offsetting the pin placement. Could you please also send, or post a picture of the proper orientation for assembly, it is hard to see on the video. I’m happy to send you a replacement if the LCD doesn’t work. Apologies; I’m quite unhappy with the quality of this component and won’t be using it on future projects. Do you have a video with better audio? I can’t hear it and the youtube subtitles although hilarious aren’t very illuminating. Hi Luke, I purchased your kit some 3 years ago, initially I messed up my LCD assembly, you kindly sent me a replacement (thanks! ), and I got sidetracked and everything just sat there. As part of my new year’s resolution to finish things up, I decided to complete my GrowerBot 1.0 project. I programmed the Blink example into the GrowerBot, all looks to be working fine, but am having lots of weird compile errors. I know I’ve added the 3 libraries properly, so that’s not my problem. I then tried older versions of the IDE, and each version gave me a completely different set of errors! I’m hoping you can tell me what version of the IDE you used when you coded/tested GrowerBot 1.0. And finally, I see that you have GrowerBot 1.5 sourceode, but I should stick to the original release, right? Fabiola Flores on Growerbot 1.5! luke iseman on Growerbot 1.5!